Another installment in the never ending series of bad renovations. 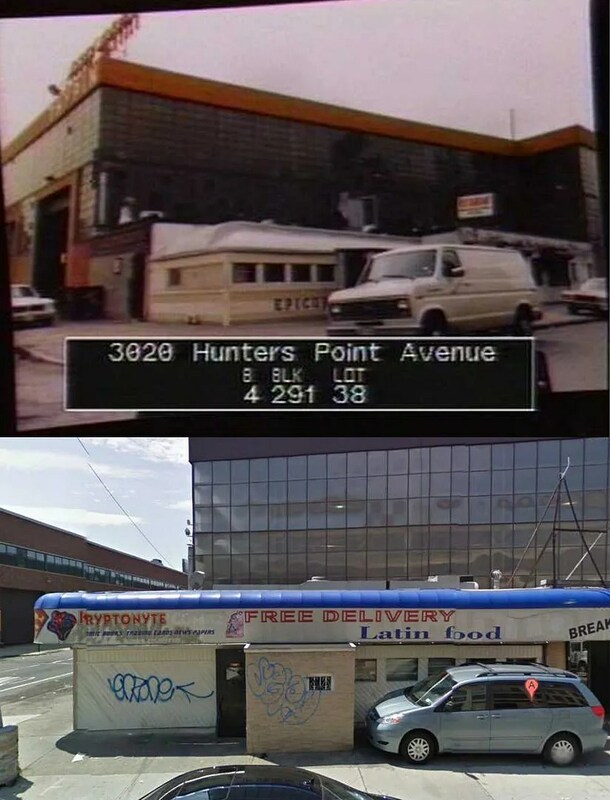 This old Silk City is still with us, at 3020 Hunters Point Ave. Queens, NYC. It looks like half is Kryptonite Comics and half is a Latin restaurant.